Lota was born in 1951 in the wilds of India. She was imported to the US and then transported to the Milwaukee Zoo in Wisconsin in 1954 where she spent the next thirty-six years. A contest was arranged to choose her name, "Lota" a Hindi word for a water vessel, was the winner. 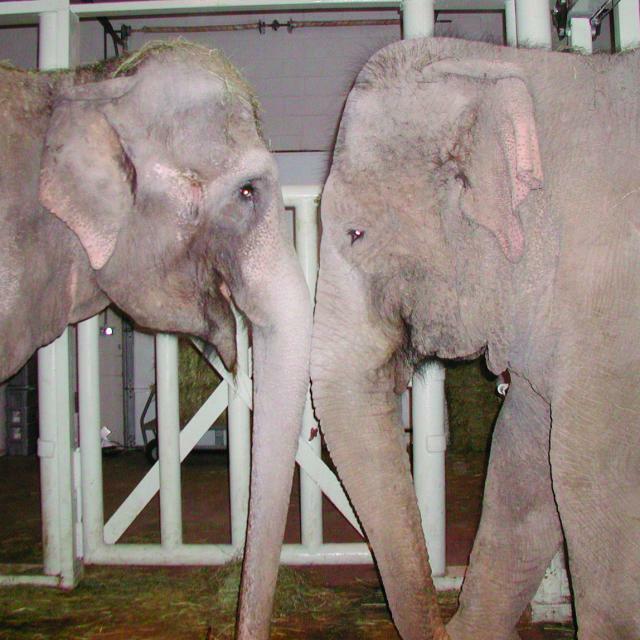 In 1990, when Lota and another elephant clashed for the position of matriarch, she was sold for one dollar to Hawthorn Corporation, a company that trained and leased elephants to circuses with the agreement that Lota would be "retired" to the Hawthorn facility in Illinois. Instead, Lota was trained and rented circuses. In the fall of 1997, Lota was diagnosed with the human strain of tuberculosis. Still, she performed with circuses around the country. The Milwaukee Zoo mounted an unsuccessful legal effort to get her back. 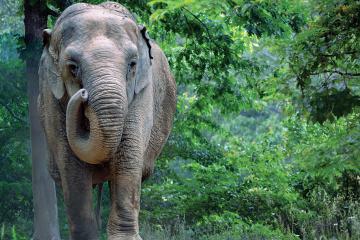 In March 2004, following a long investigation, the USDA took action against Hawthorn Corporation in a landmark case, citing them for mistreatment and inadequate care of its elephants. 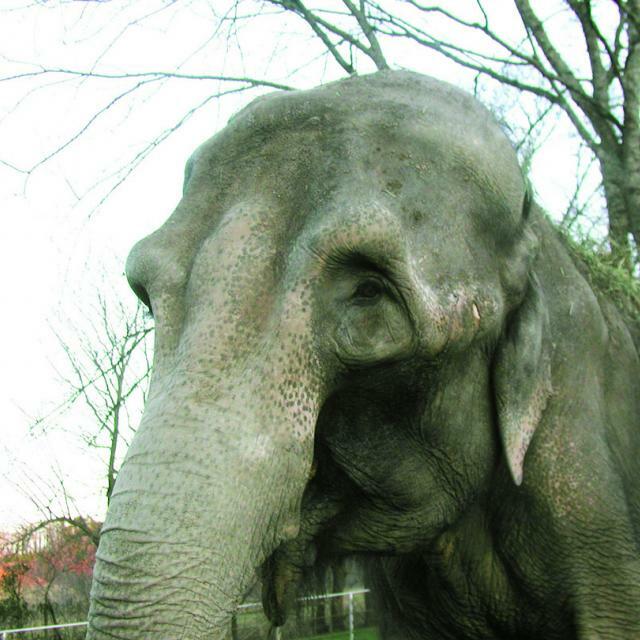 After a series of delays, Lota finally arrived at The Elephant Sanctuary on November 17, 2004, becoming the 13th resident. Misty, a fellow quarantined elephant who also tested positive for TB, arrived with Lota. Sadly, by the time Lota arrive at The Sanctuary, she was already weak and emaciated from the advanced stages of TB. But her spirit remained strong. Lota ate well, took daily naps in the barn yard and even found occasions to play. But in the early morning hours of February 9, 2005, Lota succumbed to her disease and peacefully passed away with Misty by her side. Since Lota's passing The Sanctuary has successfully completed treatment of all elephants previously testing culture positive for TB in 2015. The Sanctuary consults regularly with infectious-disease specialists from Vanderbilt University Medical Center and The Tennessee Dept. of Health, who provide ongoing education to staff.